You are browsing the archive for wooden race boat for sale. Our newest listing: a very rare, 3 step Beck Boatworks, hydroplane, 10 ft, early 1940’s. This very rare Beck Boat Works(Thunder Bay Ontario) three step hydroplane is a real collector’s item. The mahogany ply racer is powered by an equally rare, 1942 Key Hoffer Mercury 25 engine. This four cylinder motor boasts twin carburetors, and a magneto ignition, built by Fairbanks Morris of England. For safety, a “dead man” throttle is incorporated into the controls. This boat may be the only one of its kind in existence. This is a very rare racer; one of the last boats made by Peterborough Boat Co. – possibly the only one of this model made! A two-seater speedboat with a molded mahogany hull in PRISTINE, ORIGINAL condition. Always stored indoors and only hauled in a closed, single axle boat trailer which is included in the sale. Hasn’t been in the water for over 30 years. Comes with an 18 hp Evinrude Fastwin with remote controls. All original hull, decking, no restoration work done or needed. There is a vinyl cover on the seat but can be taken off – underneath is the original solid fibreglass seat. Includes running lights, compass, speedometer – all original. Compass and flag are stored off boat. This boat was sold new in Prince Albert, Saskatchewan by Eaton’s. On delivery, the buyer noticed that there were indentations on the transom that looked like a motor had been mounted on it. We surmise that this is the boat that was used for the photograph of the Phantom in the last Peterborough Boat Company catalog. The photograph showed the boat in the water at high speed. After extensive searching, we have been unable to locate another of this model. This boat is currently located in Saskatchewan. 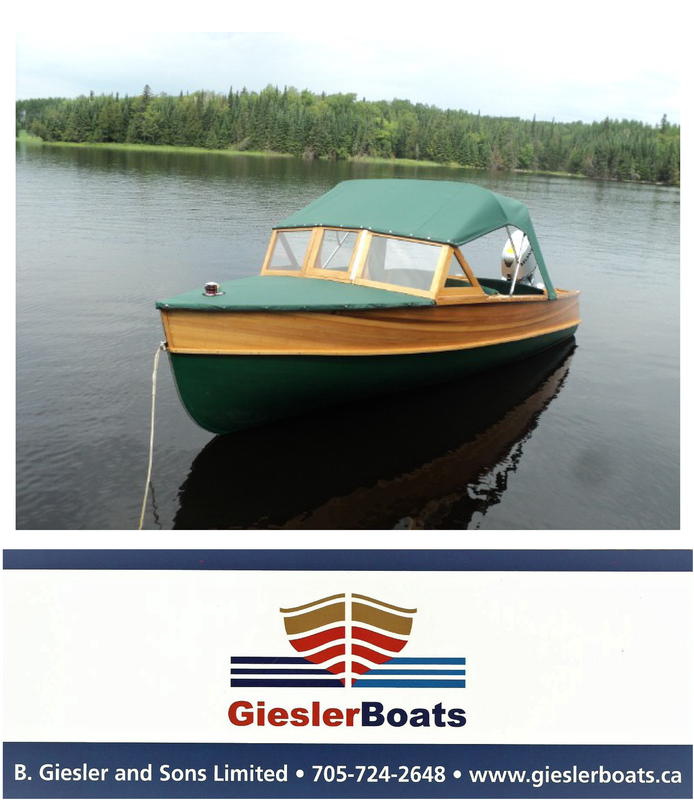 For contact information, please see ad number pb529 on the “Classic/Antique Wooden Boats” page, or click on the link. This delightful Speedliner was totally rebuilt in 1998 with the original frame kept intact. Both the boat and twin 18 hp. Chris-Craft Commander engines are in pristine condition. The “in-water” photo below demonstrates the fun this boat provides, with a top speed in excess of 40 mph. Included in the sale is a single axle Tee Nee trailer, also in excellent condition. comes complete with a tandem axle trailer with brakes and new tires.